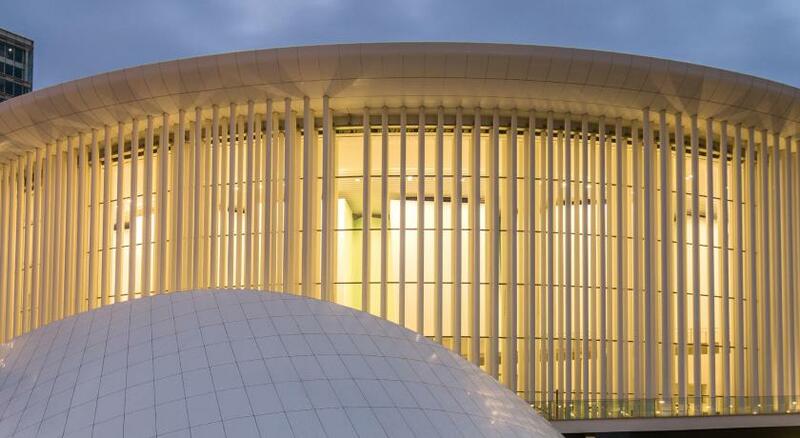 Lock in a great price for Novotel Suites Luxembourg – rated 8.6 by recent guests! Facilities were good. A comfortable and nice place to stay. Great location,(although the area is now heavily under construction like most of Luxembourg centre ), great rooms, nice atmosphere, nice staff, check-in was easy even though we arrived a bit earlier. Might stay here next time again. Nice, modern hotel! Everything was very good - breakfast, comfy bed, room size! We stayed only one night, but enjoyed our short stay much! Very clean, modern, close to tram! We enjoyed our stay very much and would hotel to anyone travelling to Luxembourg. Staff was very friendly and help us with any questions. It is very child friendly. The location is very convenient if you explore the city on foot. Awesome room and location! We didn’t rent a car and the location was perfect to go walking everywhere. Very modern hotel. Super breakfast and restaurant food. 24hs Room Service is a plus traveling on winter. Great overall place to stay...worth the value and rooms are much bigger than standard European hotel rooms. 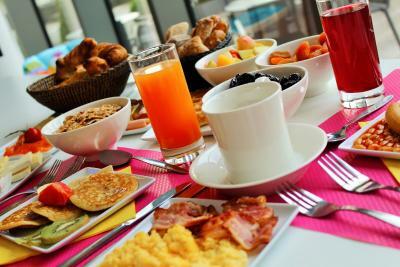 Great Breakfast, Great Shower, SUPER CLEAN!!! No complaints...great for a family. Cleaning and front area Staff were great. But Breakfast area staff was grumpy. 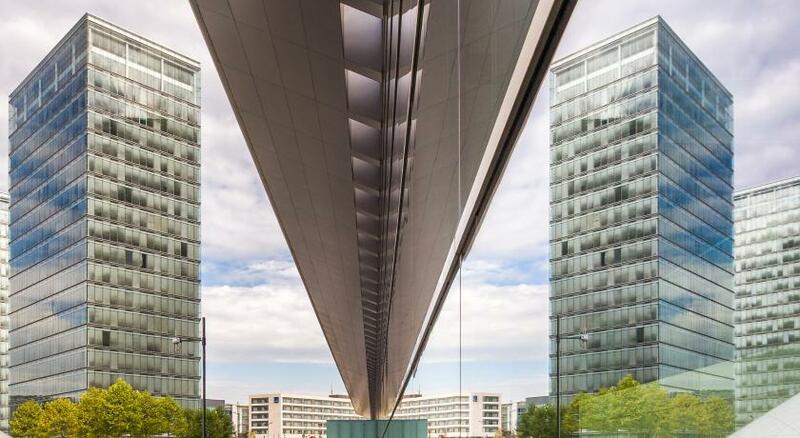 Novotel Suites Luxembourg This rating is a reflection of how the property compares to the industry standard when it comes to price, facilities and services available. It's based on a self-evaluation by the property. Use this rating to help choose your stay! 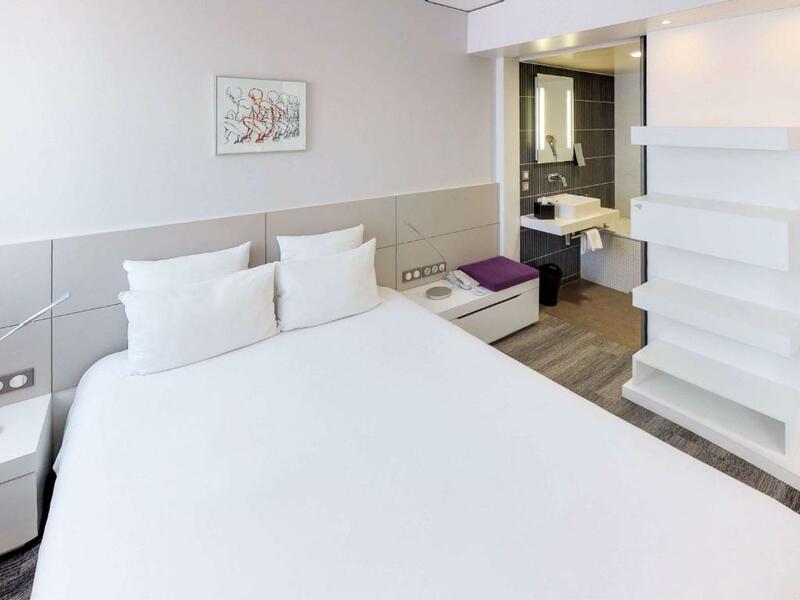 Suite Novotel Luxembourg is a suite-only hotel in the Kirchberg District, an 8-minute drive from the center of Luxembourg City. The large suites offer free high-speed internet, free national phone calls, video- and music-on-demand, and even a media platform. 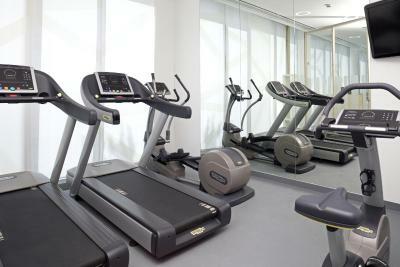 Furthermore, the hotel offers fitness, free massages on Thursday nights, a business corner and a library. Guests can order drinks at the bar and park their car in the private garage. 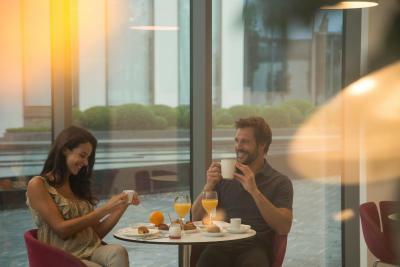 Suite Novotel Luxembourg is located a 3-minute drive from highway A1. There are various buses, which take you to the center of the city in 15 minutes. 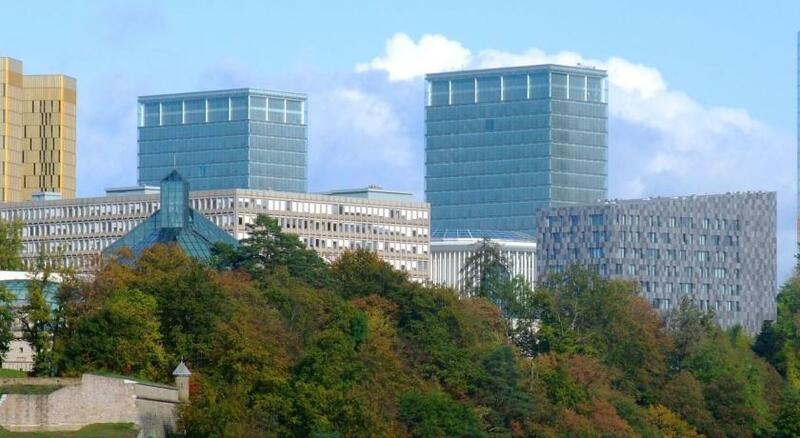 When would you like to stay at Novotel Suites Luxembourg? Spacious suite equipped with air conditioning, a TV and a minibar. This suite has a satellite TV, microwave and electric kettle. 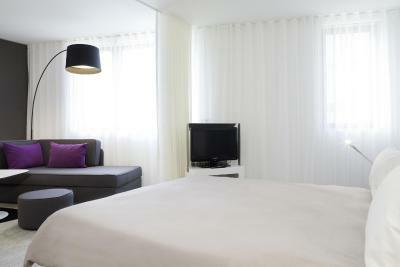 Novotel Suites offers 30 m² modular and fully equipped suites. Allowing you to arrange the space as you wish, and making you feel like at home! The brand also offers a wide range of services (24-hour fitness room, 24-hour boutique gourmande…) to make your stay easier and more enjoyable. In short, an invitation to experience a new way of hotel living! 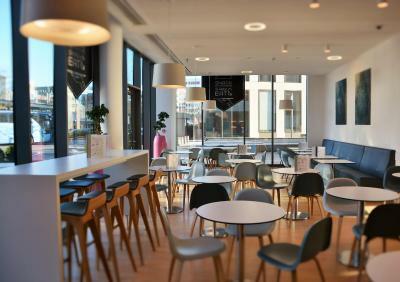 House Rules Novotel Suites Luxembourg takes special requests – add in the next step! 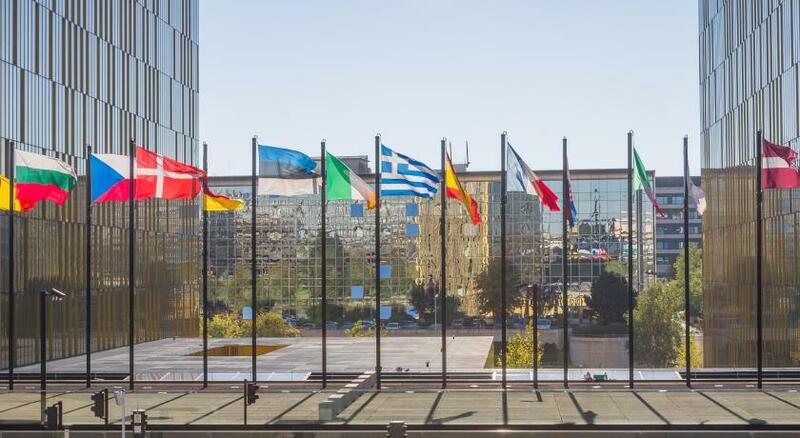 Novotel Suites Luxembourg accepts these cards and reserves the right to temporarily hold an amount prior to arrival. Everything is nearly perfect. Just feel decorations are finished not long ago so has a little bit smelly in the room. Parking (full, inside and outside), absence of clear signposting from the main road. Breakfast, cleanliness of the rooms, helpful staff. Really good rooms - lots of space and v comfy with a really nice bathroom. Perfect location, easy to get in and out of the centre of the city. Really good breakfast! We booked the hotel during the weekend, as we needed to be in Luxembourg with family. The rate was very advantageous and the room was perfect for our family of three. Very clean. Very kind staff. Good place to stay for business meeting. Had a snack in the snack bar which was excellent. Comfortable bed and good shower facilities. Unfortunately I forgot my electric toothbrush during check-out and it was never found..
Nice, spacious room with microwave/fridge to facilitate work travel and very friendly reception staff. A bit of the walk to the old town, but transport was free on Saturday and tram stop just outside the hotel. Nothing else bad, would definitely stay again. It was my birthday and all of us had a complimentary cakes and drink from the hotel, which was lovely. Room was excellent, clean and spaces . 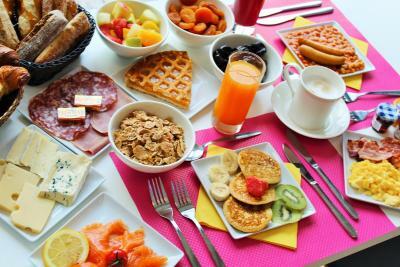 Breakfast was absolutely amazing, lots of choices and good quality. Kids absolutely loved it.